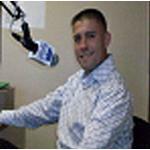 Posted: October 1, 2016 11:06 a.m. Updated: October 1, 2016 11:06 a.m.
JEFFERSON CITY, Mo. (AP) — In West Virginia, the Democrat running for governor has defended the coal industry while decrying his party's presidential nominee, Hillary Clinton. A dozen governor's offices will be up for grabs in the Nov. 8 elections, including at least seven that appear competitive. The national Republican and Democratic governors associations already have spent more than $25 million in those states, according to an Associated Press analysis of financial reports and interviews. The number of early TV ads in governor's races is up 40 percent from 2012, according to the Wesleyan Media Project. Democrats are trying to hold on to offices forced open by term limits or retirements in Missouri, New Hampshire, Vermont and West Virginia. Indiana Gov. Mike Pence's nomination as Trump's running mate added another open office to the competitive list. Even before Pence dropped his re-election bid to become Trump's running mate, Indiana Republicans seeking to retain the governor's office were facing a tough rematch from Democrat John Gregg, a former House speaker who narrowly lost to Pence in 2012. Pence was replaced on the ballot by Lt. Gov. Eric Holcomb, who was appointed to his post in March. Holcomb has said he is happy to run on Pence's record. That's been turned into an attack ad by Democrats eager to exploit Pence's unpopularity among some voters because of his embrace of conservative social issues such as a religious rights law. Republicans view Missouri as perhaps their best chance for a pickup. Democratic Gov. Jay Nixon is leaving office because of term limits, and the state has been trending Republican in legislative and presidential elections even as Democrats have held the governor's office for all but four of the past 24 years. But the Democratic nominee, Attorney General Chris Koster, has been running like a Republican on key issues. 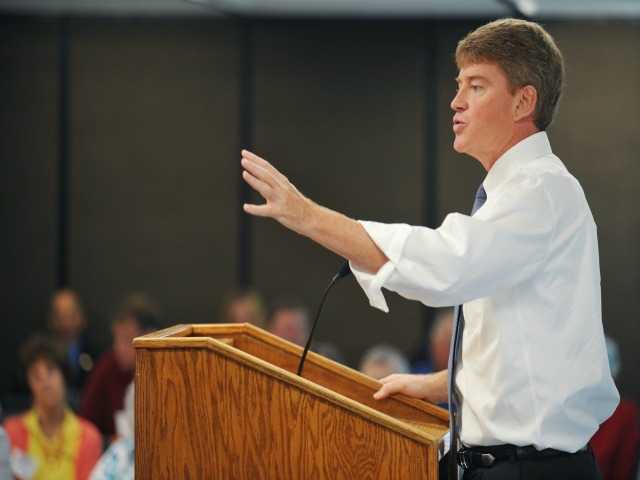 Koster was a GOP state senator until switching parties in 2007. He's won endorsements this year from the National Rifle Association and Missouri's major agricultural organizations, all of whom typically support Republicans. Koster backed the GOP Legislature's hallmark accomplishment — a 2014 income tax cut enacted by overriding Nixon's veto — and also sided with Republicans when they overrode Nixon's veto of a gun-rights law this September. The race to replace Democratic Gov. Maggie Hassan will be conducted in the shadow of Hassan's quest to oust Republican U.S. Sen. Kelly Ayotte. Democrats have controlled the governor's office for 18 of the past 20 years, and Democratic candidate Colin Van Ostern is pledging to build on Hassan's record. Republican Chris Sununu comes with strong name identification as the son of former Gov. John H. Sununu and the brother of former U.S. Sen. John E. Sununu. He's positioned himself a bit to the left by backing abortion rights and supporting funding for Planned Parenthood after rejecting it last year. The governor's race could be influenced by the state's status as a presidential battleground. The Republican Governors Association already has reserved $3 million of air time in the Boston media market for the final weeks before New Hampshire's election, while Democrats say they reserved more than $4 million of TV ad time. But Lt. Gov. Phil Scott, the only Republican statewide officeholder, has made this race close by tacking to the left. A part-time race-car driver, Scott has wide name recognition and has denounced Trump as "someone who exploits fear for political gain" and "who is willing to overlook the truth." Republican nominee Bill Cole has linked himself closely to Trump, who is popular in West Virginia because of his pledge to revive the coal industry. The state Senate president is aided by West Virginia's trend toward Republicans in recent legislative and presidential elections. Justice has loaned his campaign more than $2.6 million and, like Trump, casts himself as a political outsider with a record of creating jobs. That includes his purchase and revival of one of the state's biggest tourist draws, The Greenbrier resort. Justice has refused to endorse Clinton. The Democratic Governors Association has come to Bullock's defense with more than $2.5 million so far. The top target for both Democrats and Republicans, the North Carolina governor's race already has seen millions of dollars in advertising from candidates and outside groups.